On the road of Chinese manufacturing and transformation into China, the AWEI with the craftsmanship tradition has been advancing, accumulating and harvesting on the road of excellence... and has achieved countless achievements and outstanding achievements. 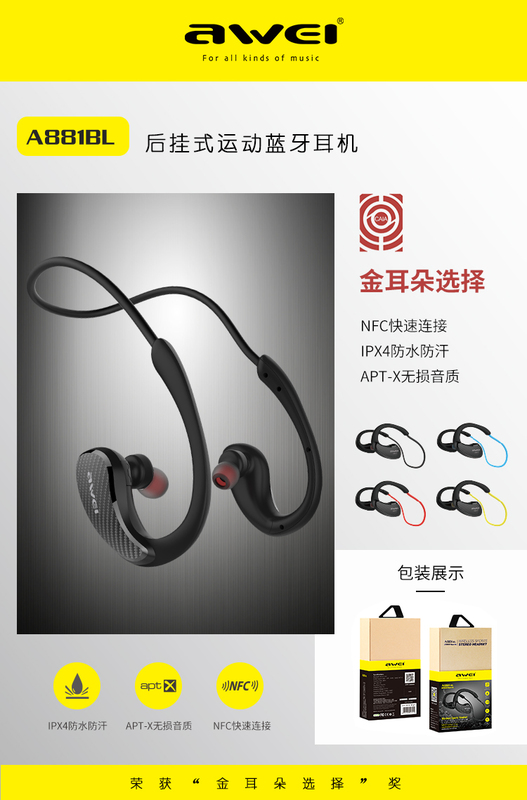 The headset - A881BL of AWEI stood out in the “Golden Ear Selection” popular audio product evaluation activity from more than 400 companies across the country, and has become the only 45 selected products. Objective detection - based on the national recommended standards and the recommendations of the Ministry of Electronics Industry, including effective frequency range, amplitude frequency, response difference, acoustic noise, output power, signal to noise ratio, resolution, distortion, etc., to obtain strict data. 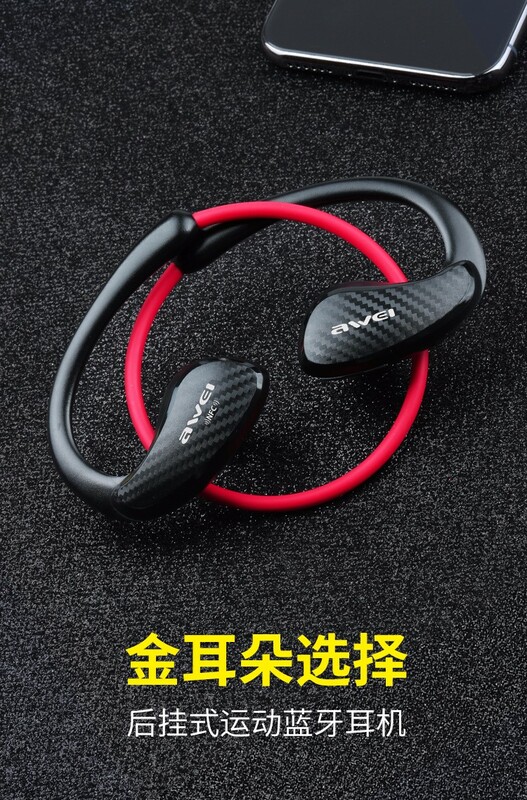 Subjective evaluation - The main body of the evaluation is the sound quality evaluation listening group of the China Electronic Audio Industry Association (commonly known as "Golden Ear"), which is essentially a statistical, objective and scientific evaluation. The "Golden Ear Selection" certification evaluation activity is sponsored by the China Electronic Audio Industry Association and hosted by Global Sources. "Golden Ear Selection" is a registered trademark of the Association. The "Golden Ear Selection" certification is the authoritative certification for the objective detection and subjective evaluation of the electroacoustic industry in China. It is also the reference basis for the enterprises to compare and improve their products. 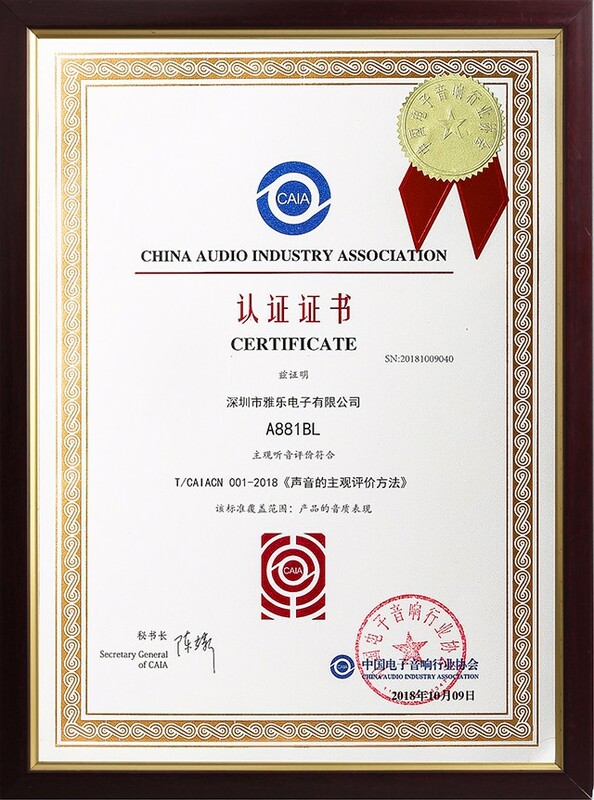 China Audio Industry Association was founded in 1983, which is a national first-level industry association with more than 400 member companies in more than 20 provinces, municipalities, autonomous regions and Hong Kong & Taiwan. The association covers well-known brands of almost all well-known enterprises in audio industry, and has developed a white paper on the industry market, laying the authoritative foundation for the Chinese audio industry.